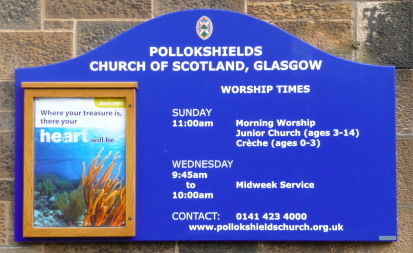 Midweek Service - This takes place on Wednesday 28st February from 9.45am to 10.00am. Coffee Break - Coffee Break on Wednesday 28th February from 10.00am to 11.30am. On duty this week are Elva Carlisle, Irene Macleod, Maeve Kinloch and Jean McKenzie. Bible Study - The Bible Study and Prayer Group is drawing upon New Testament characters and our next subject is 'Pricilla and Aquila - Practising Hospitality' (based on Acts 18 & Romans 16: 3-5). We meet this Tuesday, 131n February, at 7.30pm. Everyone is VERY welcome. Contact Murray Henderson for full details and to verify date. Thanks. Property Group - The Property Group meets on Wednesday 28th February at 7.30pm. Finance Group - The Finance Group meets on Wednesday 7th March at 7.30pm. Attention Bookworms - Our next meeting takes place on Thursday 29th March at 2.00pm. Our book for discussion is Exposure by Helen Dunmore, a tale of espionage during the Cold War. All welcome, whether or not you have read the book! Tea and coffee will be served. The Guild - The Guild meets tomorrow, Monday 26th February, at 2.30pm. There will be a presentation on Street Pastors, a Guild project. All welcome. Annual Stated Meeting - This will take place on Tuesday 17th April at 7.30pm. Life & Work - The March issue of Life & Work is available for uplift this morning. World Day of Prayer - Our local service takes place on Friday 2nd March at 2.00pm in Sherbrooke Mosspark Parish Church (formerly Sherbrooke St Gilbert's). Pastoral Care - While Rev. David Black is on holiday, all pastoral matters will be dealt with by Rev. Valerie Duff of Shawlands Trinity Church (0141 258 6782). Thanks.